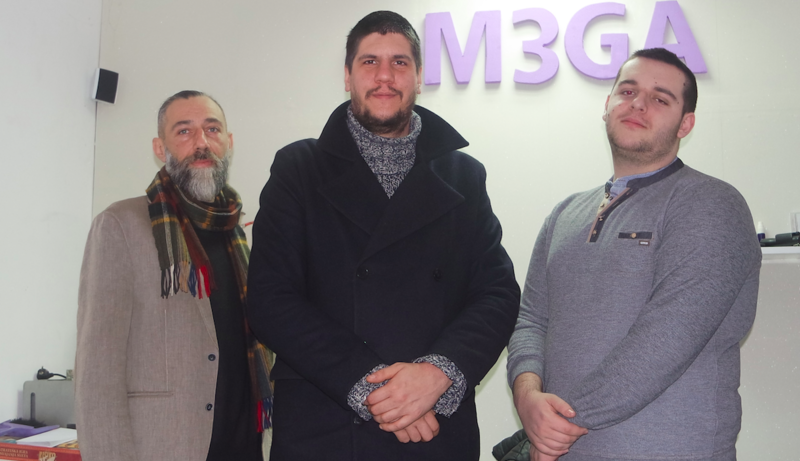 21st January, Podgorica – the Montenegrin startup Om3ga Solution raised a seed investment from South Central Ventures and ICT Hub Ventures for their speech-to-text platform “Daktilograf”. Daktilograf provides a unique speech recognition technology that supports South Slavic languages and has no limitations on the number of words which it recognizes. This seed investment is the first from SCV for a Montenegrin startup team and it will help them finalize their product and make it available to businesses across Europe. Daktilograf is a speech-to-text platform that enables proper and real time transcription of South Slavic languages for business. The software is intended to primarily help journalists transcribe their interviews and help with transcripts of board meetings of big corporations. The solution is very versatile, and it can be applied in a number of industries which need transcription, making them more efficient. The software represents the latest technology that has no limit on the number of words it recognizes, and it instantaneously creates records that can be utilized in many industries. The company’s proprietary voice recognition engine offers a solution in South Slavic languages currently unavailable from Yandex or Google that support a handful of languages. The team plans to expand the portfolio with other Central and Eastern European languages, as well as enrich the solution with additional features. They operate in the global speech and voice recognition market, an already large and growing market estimated to reach USD 31.82 billion by 2025 expanding at a CAGR of 17.2%, according to a new report by Grand View Research. Daktilograf and their platform aim at current underserved markets, which puts them in great position to capture a sizable portion of this growing market in a hands free and AI driven future. Om3ga Solutions team is a blend of youth and experience, from talented high school students to senior professionals with 20 years experience in the largest companies in the region. Om3ga Solutions has its own top management team in Montenegro, led by Chief Engineer and CEO Amil Čengić, CPO Miroljub Ćirović and COO Snježana Gomilanović, while its CDO Mirsad Hadžalić and business development team located in Belgrade, Serbia. 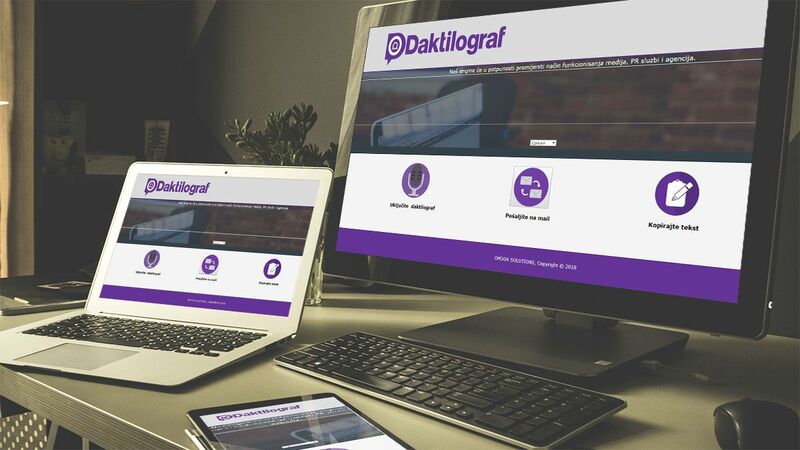 The company initiated Daktilograf in 2017 and has caught the attention of the tech community and companies in Montenegro, Serbia and Croatia that were struggling with the problem to find a proper speech to text solution. Recently their solution won the 2ndnd place at the Sarajevo Unlimited Conference in a competition of up to 100 startup teams. It is one of the fastest growing Montenegrin startups. “Om3ga Solutions is delighted to be the first Montenegrin startup team to get the opportunity to work with South Central Ventures and ICT Hub Ventures. The investment will help us create a series of applications based on voice to text conversion, which will bring benefits to the industry and public administration. The solution is currently avaliable for South Slavic languages and we are starting to conquer the markets of the Western Balkans. In six month time we will have modules that are ready for the world’s most complex languages, and we expect to enter the global market” – said CDO and Om3ga Solutions cofounder Mirsad Hadžalić. “We are delighted to partner with the team behind Daktilograf, not just because it’s our fund’s first investment in Montenegro, but primarily because of the founders’ ability to deliver such a technologically superior product with very limited resources. We strongly believe this provides a good foundation to build upon in the future and look forward to supporting the company’s growth” said Jan Kobler, Managing Partner of South Central Ventures.